Dimensions: 56.3" x 17" x 27.6"
This Val-Air 300-100 AL Compressor has been specifically designed by Silentaire Technology to provide heavy-duty operation for shops and professional studio settings. 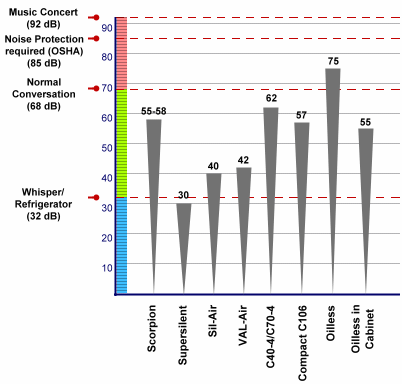 However, it would be also appreciated whenever the low noise level can be critical for the optimum work. So, for almost half a century the company has driven growth in the development of new compressed air technologies. Through well-coordinated teamwork, advanced manufacturing, and problem-solving, it has become a leader in the market of quiet air compressors. Nonetheless, the company is still growing due to ongoing researches and new challenges from customers so that you could have even better experience with your airbrush. Understanding the needs of customers allows the manufacturer to find new ideas and develop solutions that could deliver efficient operation with lower power consumption, fewer operating expenses, and minimum environmental impacts. With this in view, the Silentaire specialists have incorporated all that in a solid design and extremely quiet operation of Val-Air 300-100 AL Compressor. Within the Val-Air line of Silentaire compressors, the Val-Air 300-100 AL is the most powerful and durable. But like every air compressor in the line, it is very quiet and completely automatic. That means that for all its power, you don't have to necessarily control the air pressure in the compressor tank. Thanks to a pressure switch, the compressor stops and starts automatically when the pressure is beyond the set limits. 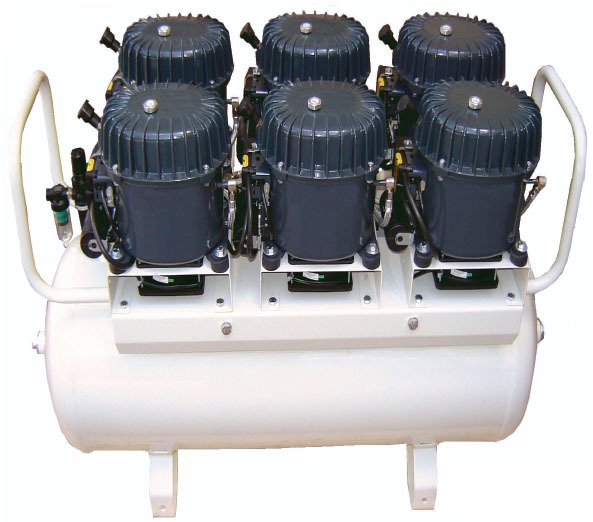 More than that, the manufacturer has added special aluminum heads and cooling fins to the pumps of all Vall-Air compressors in order to reduce cooling time. a handle or wheels to add portability to a compressor. On top of that, the packing also includes an oil bottle type ROLOIL - SINCOM/32E, instruction manual, and a tank certificate. The Silentaire Val-Air 300-100 AL Compressor warranty covers 12 months from the date of purchase. Under the guarantee, defective parts of the compressor will be freely repaired or replaced by the manufacturer, except for the electric parts and worn parts. Also note, that bad usage or tampering will automatically terminate this guarantee. 56.3" x 27.6" x 17"
58" x 49" x 31"